McDonald, O'Donnell, Greer, Broadfoot, Findlay, McKenzie, Taylor , Power, Burke , (Brophy 63 mins), Jones , K Boyd (Erwin 63 mins). Subs Not Used: Bell, Thomas, S Boyd, Frizzell, Hawkshaw. James Morrison @ Dens Park. After a fine meal and an enjoyable, entertaining KFCSA Sportsman’s Dinner at Mauchline KSC on Friday evening Steve Clarke’s Blue and White Army headed off to Dundee on Saturday knowing a win would put them six points ahead of the bottom side and within touching distance of the top six. The only bright part of the first half was the winter sun shining into the faces of the Killie fans sitting in the front section of one of the most outdated stands in Scottish football. Like the Frank Beattie Stand at Rugby Park it is mainly a wooden structure so smoking is banned but that didn’t deter a certain notorious follower of Killie trying to sneak a cigarette and being duly and correctly removed by the zealous Dundee stewards. Has that character never heard of or seen pictures from the horrific Bradford City stadium fire? That started from a discarded cigarette. On the pitch, there was little of interest other than JJ firing over after a mazy run and the Incredible Bulk Haber heading into Jamie’s hands when he should have done better. Surely the second 45 minutes would offer more? 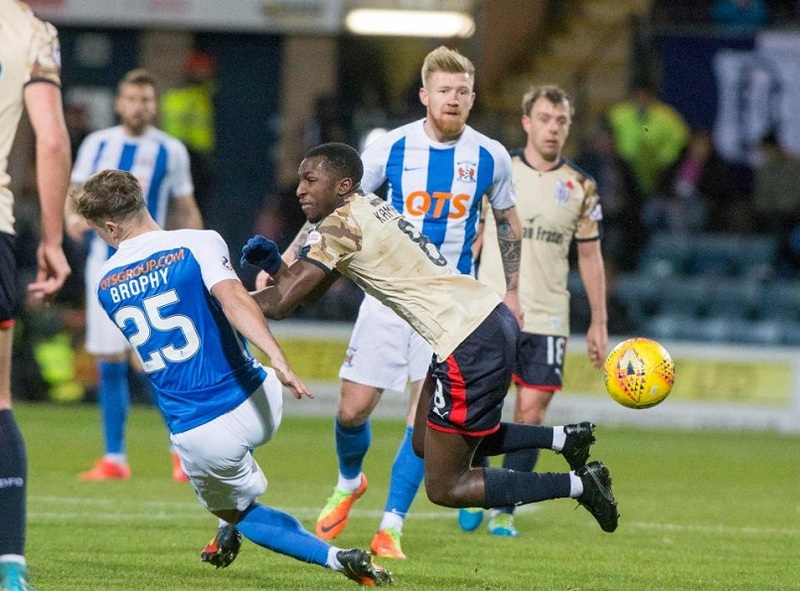 From a Killie viewpoint, it seemed the team struggled until about the 65th minute and, in truth, the overall performance was probably the poorest since Steve Clarke took charge. McKenzie threatened the Dark Blues’ goal early in the second half with a cross/shot and the home team took control for a period but like the first half there was no creativity. 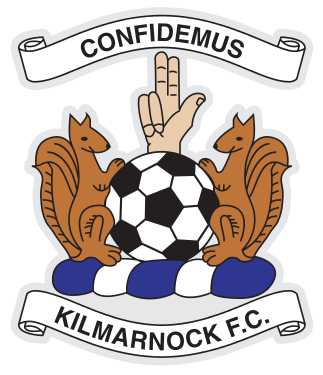 Kilmarnock retreated into their shell and while they looked in little danger of conceding a goal they were offering little in attack. 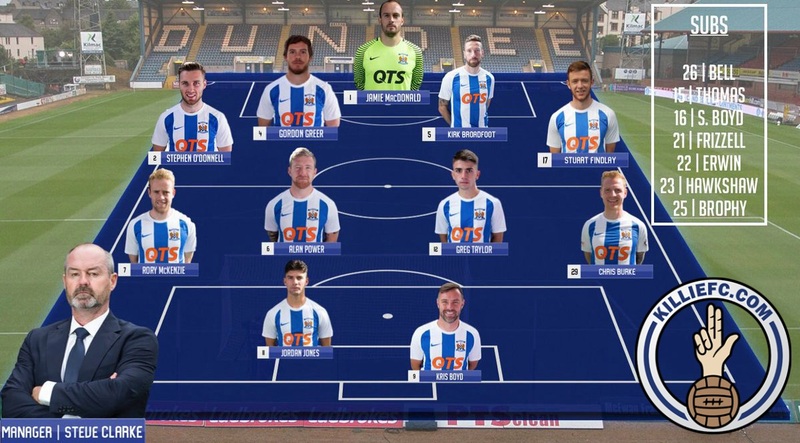 It was time for the manager to work his magic and his substitutes, Erwin and Brophy, really should have won the game for Killie. 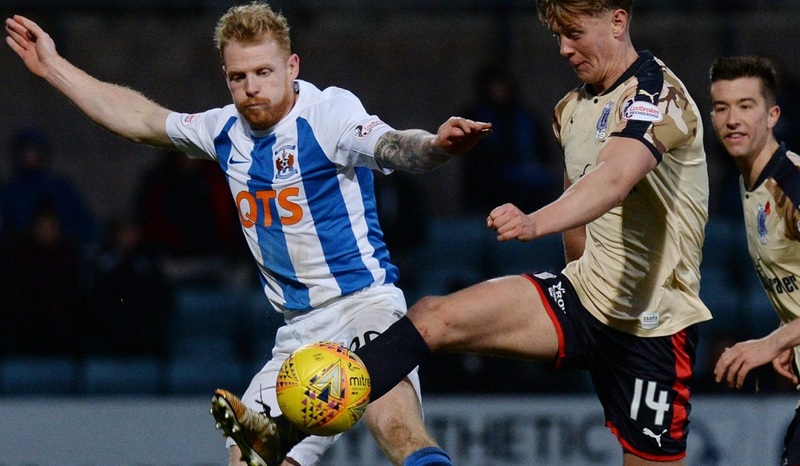 Firstly, from a breakaway from a Dundee corner Killie quickly broke up field and the recently capped Jones played in Erwin with an excellent pass. 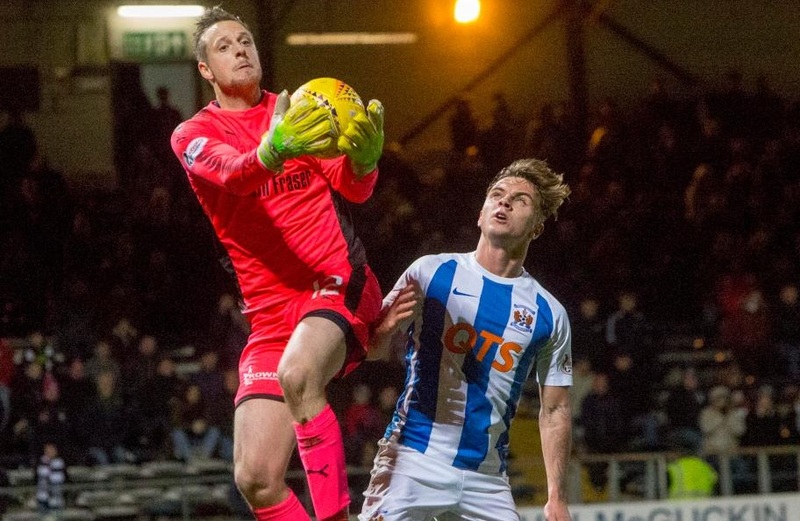 The striker had replaced Boyd after 63 minutes seemed to almost have too much time to think what to do – and fired his shot directly at the on-rushing home ‘keeper Parish. That Dundee corner had resulted from Jamie Mac having to look sharp when the home side’s left back Auternexte was allowed to run half the length of the park before sending substitute Leaith-Smith clear but Jamie was quickly out to block conceding the corner. 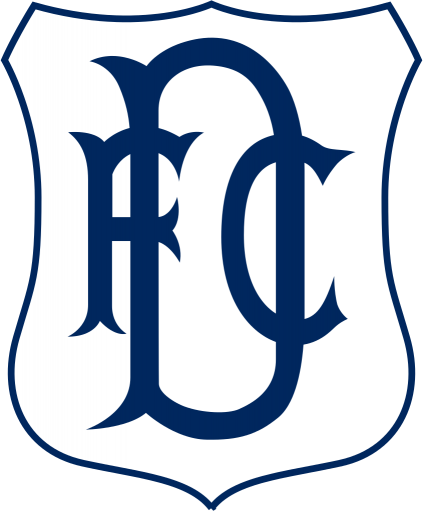 After 84 minutes Dundee were correctly reduced to 10 men when their skipper O’Dea was late with a challenge on McKenzie who was heading into the penalty box. The ex-Celt had been booked eight minutes earlier for clattering Brophy with an over-robust challenge. That man Collum (remember how brave he was in the final few minutes of the 2012 League Cup Final?) produced the second yellow and then a red. Meekings was duly brought on for the last few minutes to shore up the home team’s defence. In added time Rory McKenzie whipped in a corner and Eamonn Brophy had a free header from 8 yards which clattered off the cross bar. Was it a point well-earned or two points dropped against a side who had lost their previous five league games? Perhaps I would have taken a point after 65 minutes but considering the Erwin and Brophy misses and the sending off I would think Steve Clarke and the team felt like it was two points which slipped away. Annoyingly it was the first clean sheet in the league for the Dark Blues’ defence! 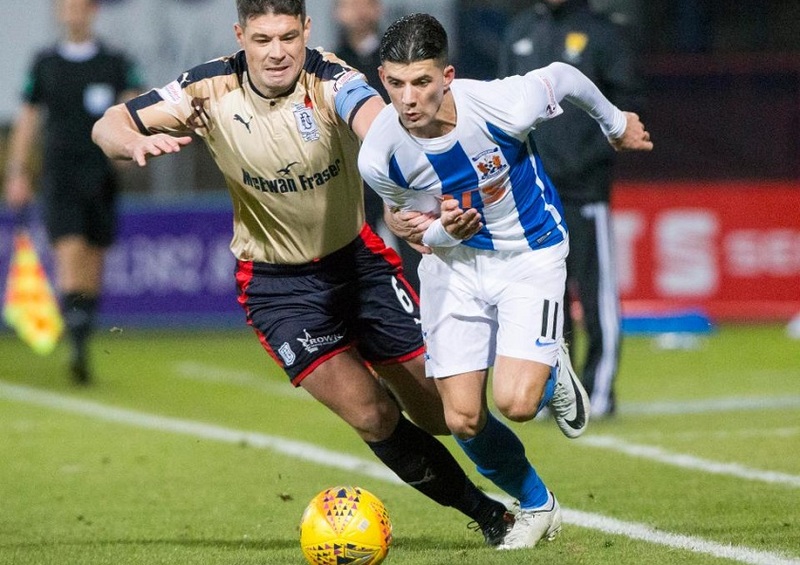 Here’s hoping our form at Rugby Park also improves to the level where we are disappointed with draws – starting with next Sunday against our bogey team – the Dons. Steve Clarke: "A lot of honest endeavour from both teams. It looked like a game between two teams that haven't had the best of starts to the season. Probably a little bit of a fear of losing for both sides. The first half was pretty much a non-event. 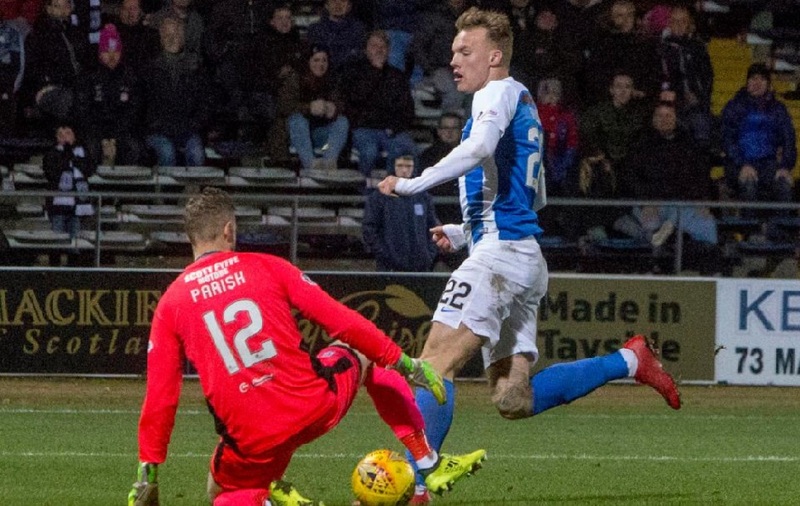 The second half opened up a little bit and obviously we're disappointed that we missed one great one-on-one at the end and young Eamonn Brophy came off the bench and had a good header that came off the crossbar, so maybe we're feeling a little bit hard done by that we could have nicked the three points."